In this dystopian-future tale, Harley’s quest to find out how The Joker could possibly still be alive has taken her back to their old stomping grounds, but Gotham City is very different nowadays! Nobody’s allowed on the streets without the Batman’s permission-but who is this Batman, anyway? 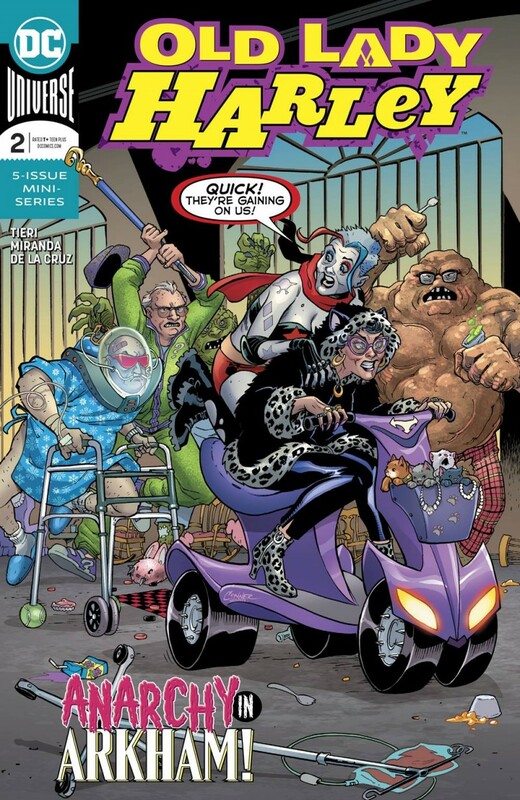 Harley’s only choice is to return to Arkham…the Arkham Home for Criminally Insane Retirees, that is! Fancy a round of bingo with the Riddler? Or some pool aerobics with Killer Croc?